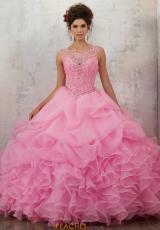 Wow the crowd in this extravagant Vizcaya ball gown 89132 at your quince. 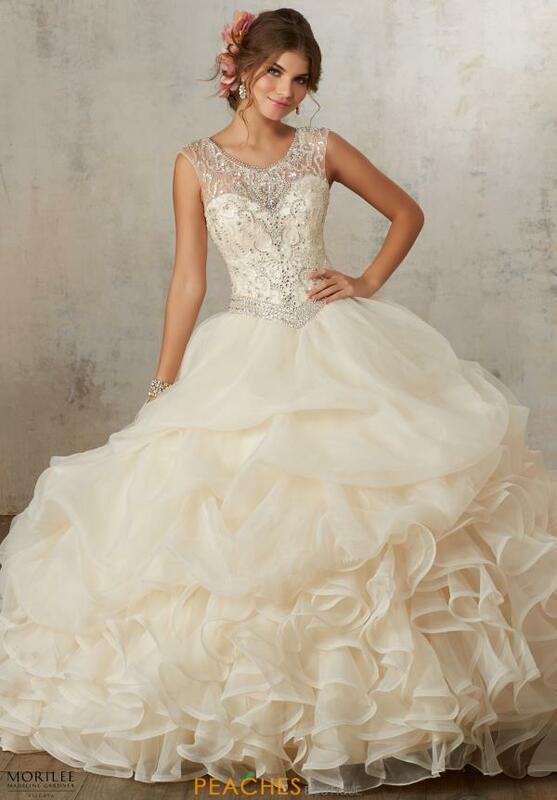 Stunning beading drenches the bodice and shows off the gorgeous illusion high neckline and cut out back. A full ruffled organza skirt flares out of your waistline and features a subtle train, making it perfect for pictures. Pair up the perfect gloves and tiara at Peaches Boutique in Chicago.